Yesterday was a fantastic good weather day. The sun was out and it was in the low 20’s. Bright blue, cloudless skies. 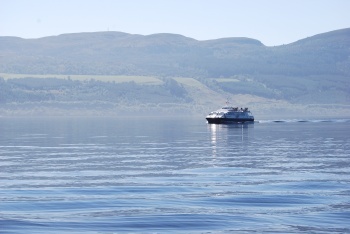 We decided to get on to the water and do a cruise of Loch Ness. 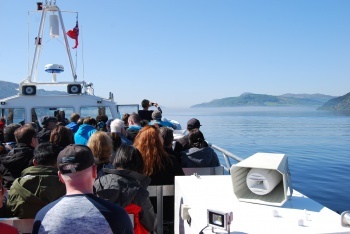 There are a few options with Jacobite Cruises. From a 2 hour cruise through the Caledonian Canal and onto Loch Ness. 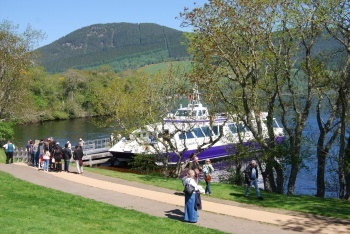 To a 4 hour cruise which lets you off at Urquhart Castle. With the time we had, we decided to do the 2 hour Freedom Cruise. The cruise departs from Clansman Harbour, which is only about a 20 minute drive from Pinewood, via Abriachan. 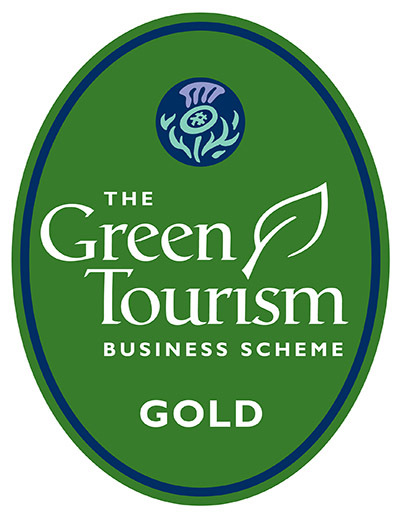 This two hour adventure includes a 1 hour return cruise across Loch Ness. And then a hop ashore one hour visit of the castle. We did find though that one hour at the castle wasn’t quite enough. So, you may decide to do the Rebellion cruise, which gives you 2 hours there. Our cruise was £22 per person. Setting off from the habour, the haar (a Scottish word for fog or mist) was settling across the loch. It made for a very eerie cruise. But we broke through it out the other side and gained our first sighting of the castle. This time of year (May), the boat was full but there was plenty of room up and below deck. We were on the deck so we could easily walk around and get photos. 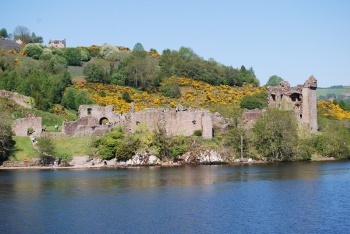 I’d been to Urquhart Castle before but it was great getting a view from the loch! Whilst at the castle, I also jumped in on one of the free Guided Tours. 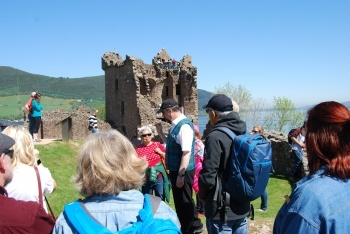 It’s a 30 minute guided tour of the castle and its history. But be cautious if you do this during your 1 hour cruise stop here. You don’t get much time at the end to finish wandering around before you have to get back onboard. So much sure you visit the Great Tower before the tour starts and not leave it til after the guided tour. This is a great little trip out. They sell refreshments and tourist goodies on the boat. And back at the harbour, you could visit the Clansman Hotel for a spot to eat, an ice cream, or a look around their shop. Sadly, we didn’t see Nessie this time! ← The veg garden is up and running!